Designed of the Luger pistol and the 9×19mm Parabellum cartridge. 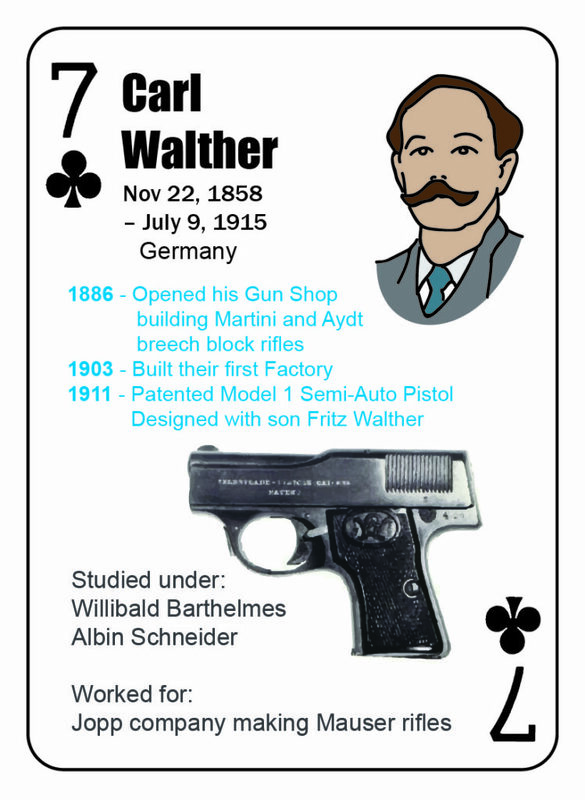 He was also the designer of the Luger pistol and the 9×19mm Parabellum cartridge. Brady Law, imposing a wait-period to buy a hand-gun, went into effect. The 1911 was formally adopted by the Army on March 29, 1911, when it was designated Model of 1911, later changed to Model 1911, in 1917, and then M1911, in the mid-1920s. The application for a patent on a 25 caliber semi-automatic pistol was filed. It has been manufactured and sold by both FN and Colt. It was part of the Browning Arms Company line from 1955 to 1969.